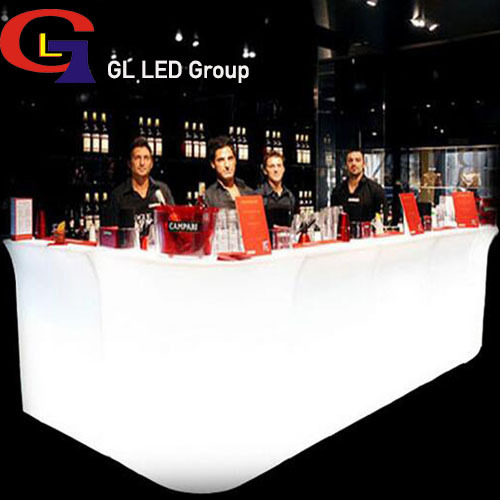 This modern bar table made by high quality material: PE(waterproof, screwproof,fireproof and cleanable);Build-in brightness RGB 5050 plus white 3014 led lamps, with long lifespan(80000-100000hours); Color changing by cordless remote control. The color from soft to brightness. The counter work with li-battery(18650 type), charge 6-7hours, can keep working 10-12hours). 1)100% tested before shipping. All the balls will pass burn-in test, waterproof test, function test. 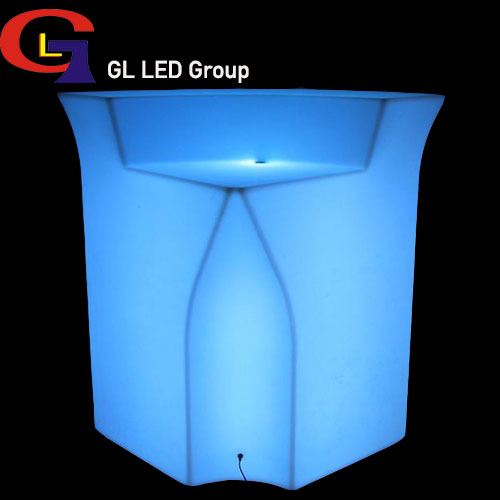 2)High brightness RGB5050+white 3014LEDS lamps. 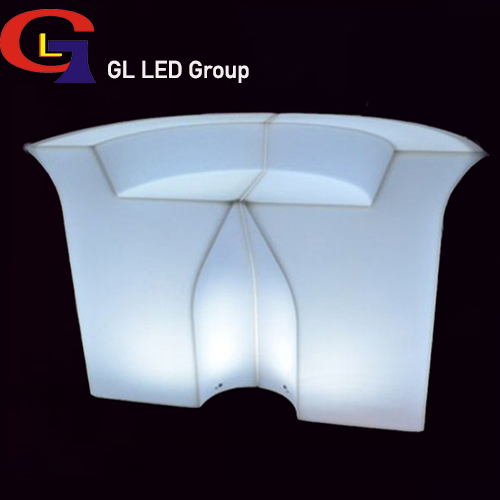 3)Use Eco-friendly material, PE, lithium battery. 5)Low carbon, environmental protection and energy. 7)We provide 2 YEAR warranty for all parts.